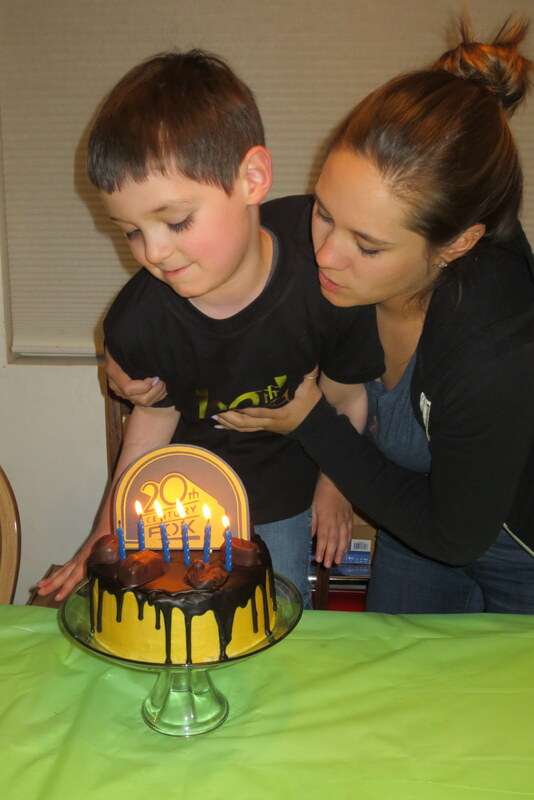 The March birthday party-palooza finally happened on Saturday, and Auntie came through with some amazing personalized cakes. There really isn’t much guessing on whose is whose. But you’ll see them after… PRESENTS. Yes, Rerun was more than ready to get started. 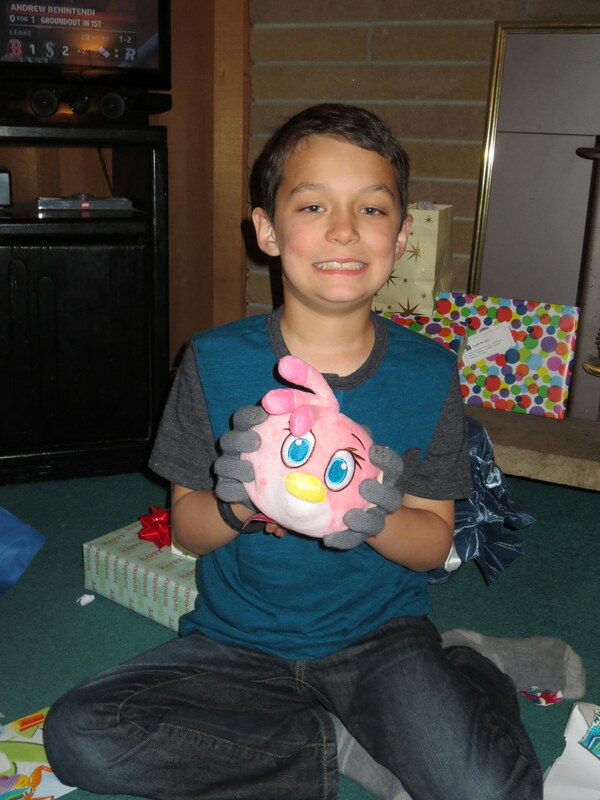 He promptly added to his plush collection with Stella Bird, and some more Plants vs. Zombies plush, along with LEGO sets galore and a peashooter toy that Auntie got him. Thumper, with Ane’s help, sort of stayed on task. 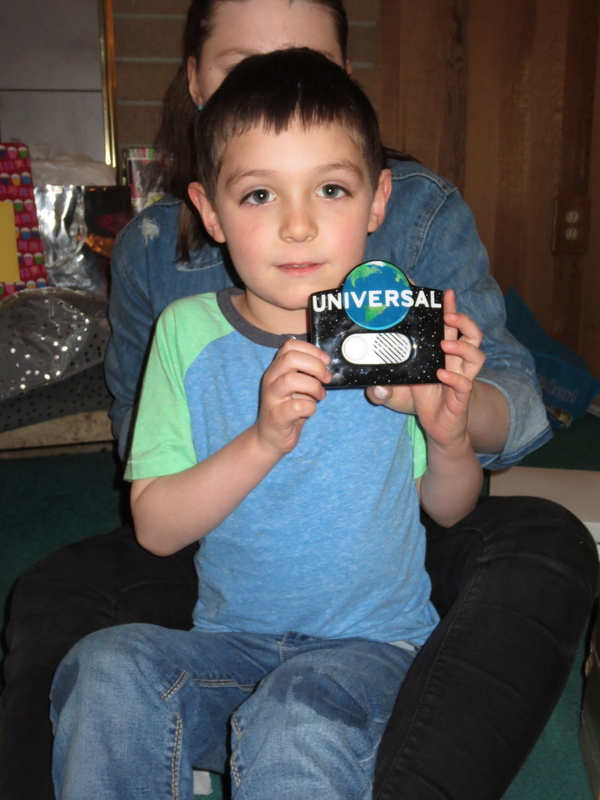 Though once he opened up his new music box which plays the Universal Studios theme song (to go with his 20th Century Fox music box he got for Christmas) from Grandma and Gichan, he nearly bailed. 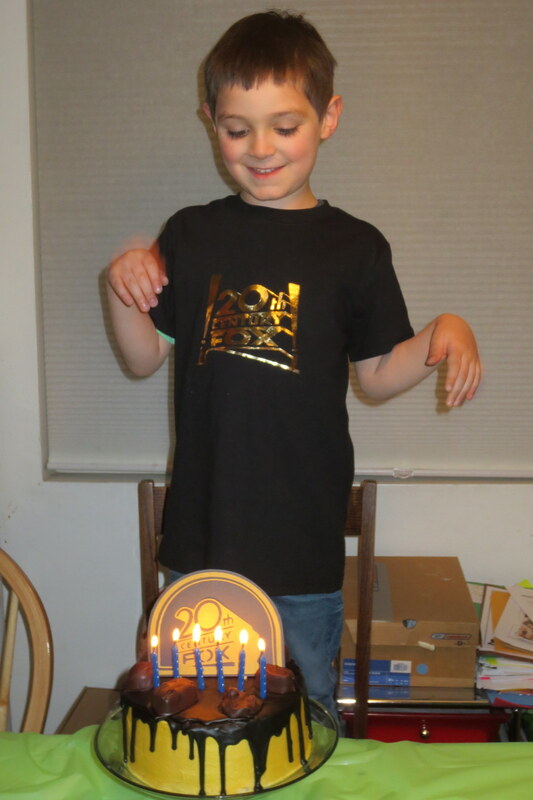 Good thing he kept going, because Auntie had made him a 20th Century Fox t-shirt! 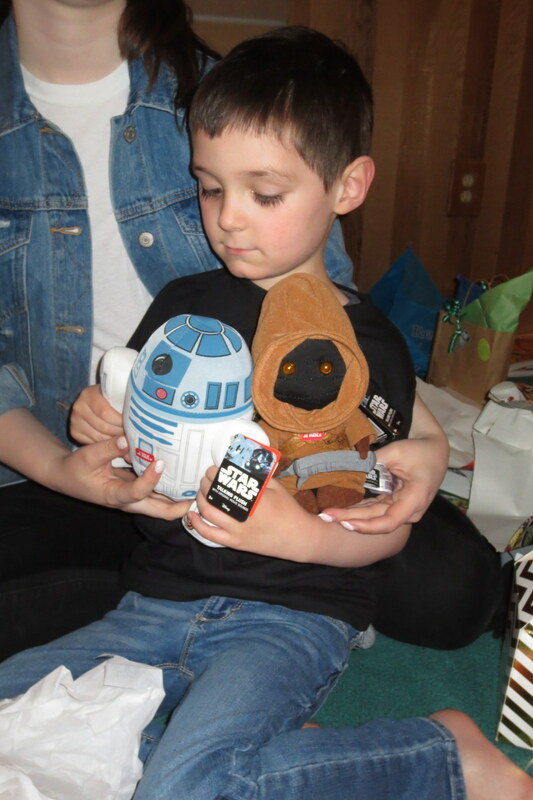 And because he is currently in love with the scene from Star Wars where the Jawas shoot Artoo… we got him a talking plush Jawa and a talking plush Artoo. But enough presents. CAKE TIME. 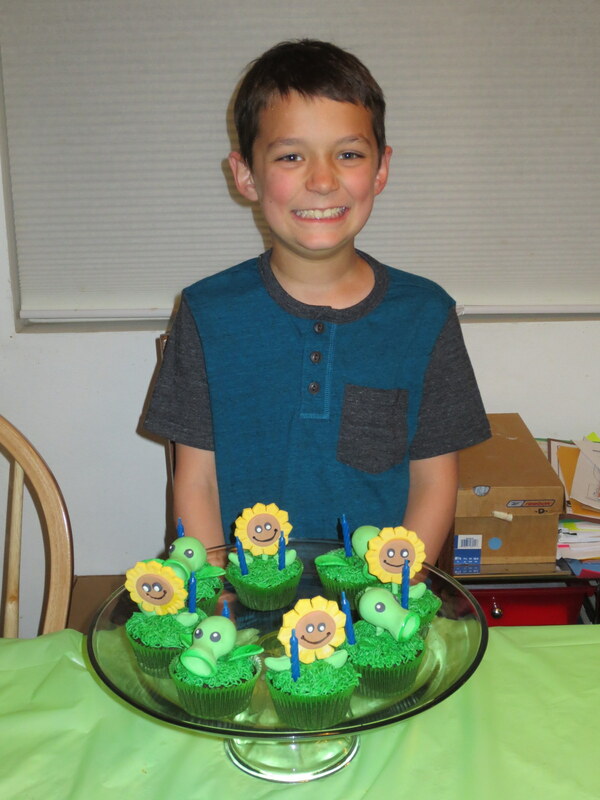 Rerun went first, with his Plants vs. Zombies cupcakes, made by Auntie out of gum paste. 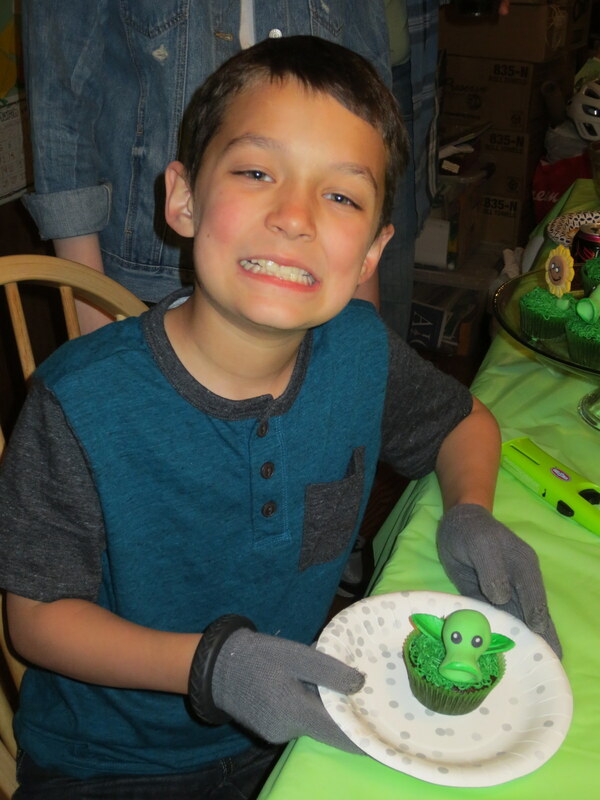 Auntie will tell you that these cupcakes stressed her out, but Rerun absolutely adored them. 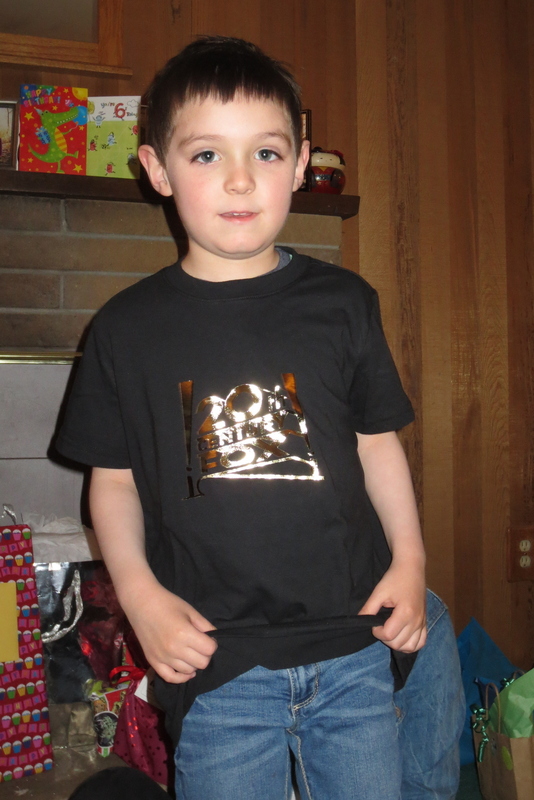 But she really outdid herself for Thumper. 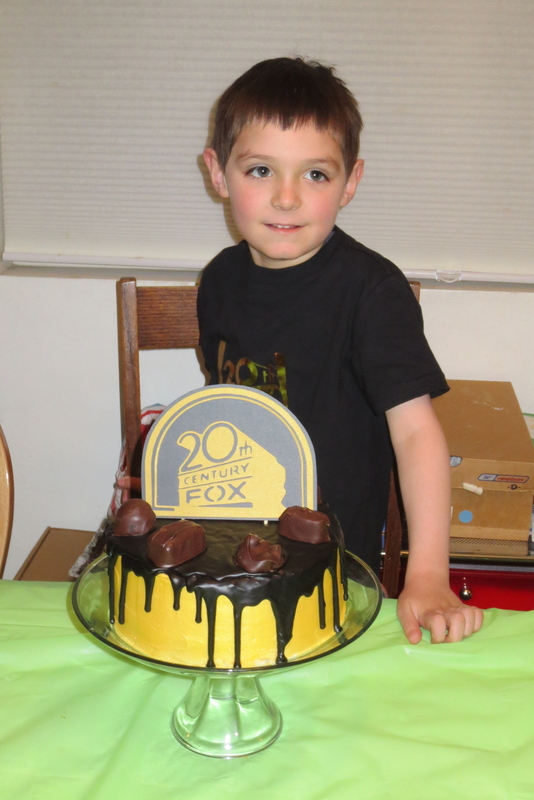 Yes, she made him a chocolate black-and-gold cake with a die-cut 20th Century Fox logo on top. He was thrilled. 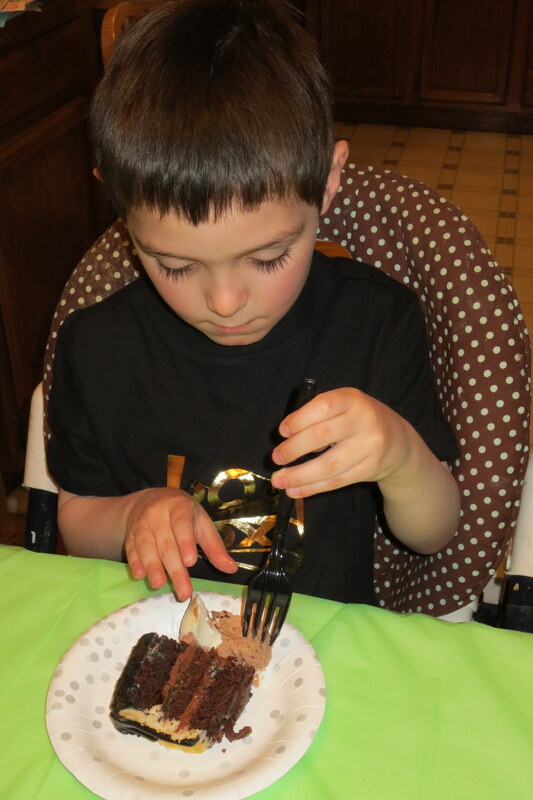 … and then it was time to eat! We desperately tried to get Rerun to do some un-cheesy grins, but it wasn’t happening. 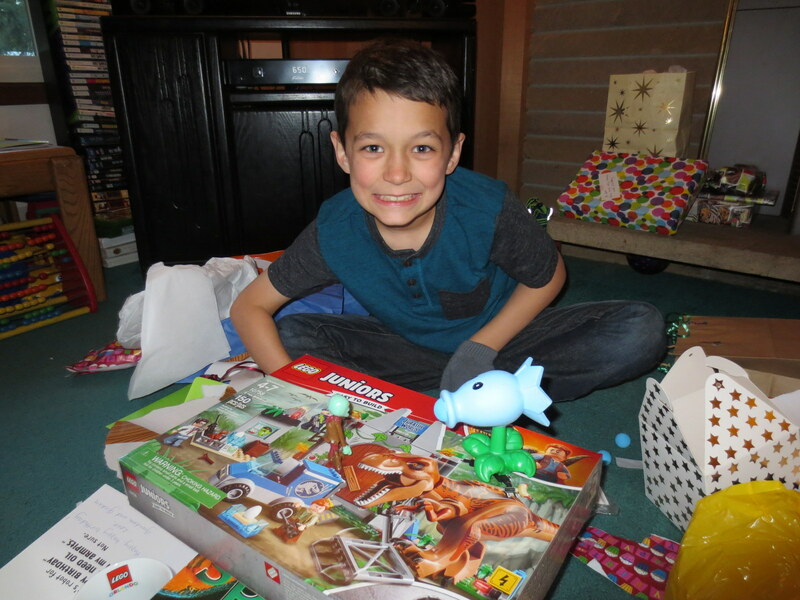 But the party was a lot of fun for all, and the boys can now say that they have properly celebrated turning 9 and 6! 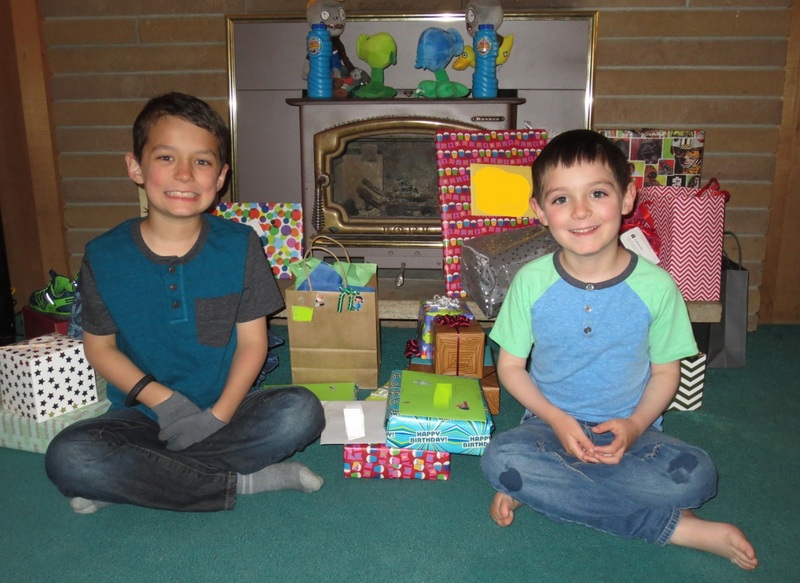 This entry was posted on Monday, April 1st, 2019 at 10:41 am	and is filed under Children, Family, Party Time.